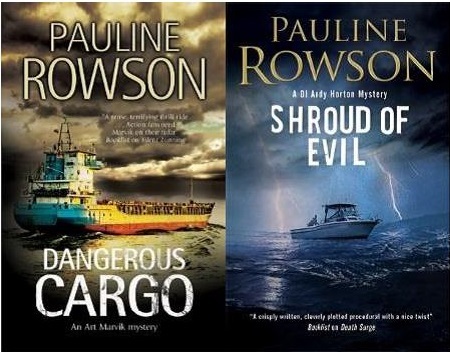 Two more crime novels by Pauline Rowson, SHROUD OF EVIL, an Inspector Andy Horton police procedural and DANGEROUS CARGO an Art Marvik mystery thriller are to be produced as audio books by Soundings, part of Isis Publishing the World’s leading publisher of unabridged audio books. Soundings have already published nine audio books in the Inspector Andy Horton series and the first in the Art Marvik mystery thriller series, Silent Running. DANGEROUS CARGO, the second in the Art Marvik mystery thriller series, is to be released as an audio book in the first three months of 2019 with SHROUD OF EVIL being released in audio book format between April and June 2019. Both crime novels are already available in paperback, as an ebook and on Amazon Kindle. 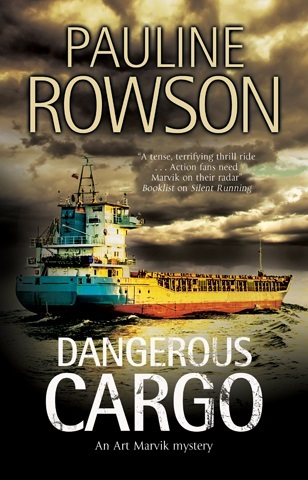 In Dangerous Cargo, Marvik's second mission for the National Intelligence Marine Squad, the former marine commando finds himself on the trail of a 50-year-old mystery, his task to catch a ruthless killer whose murders span over half a century. Shroud of Evil is the eleventh in the Inspector Andy Horton series. US Publishers weekly says, "A compelling protagonist and mounting suspense make the book hard to put down." When Horton is assigned the case of a missing person: Jasper Kenton, a private investigator, he believes Kenton is either with a woman, or he’s stolen from a client and absconded with the money. But when Kenton’s car turns up,and a shocking discovery is made, things turn serious. Immediately, Horton finds himself embroiled in an investigation that has major personal ramifications. Pauline Rowson's unabridged audio books are available on Audible via Amazon and for loan in public libraries. They can also be ordered from local booksellers or direct from the publisher via their website or by telephone on 01865 250333. All Pauline Rowson's crime novels are available in paperback and as ebooks on Amazon Kindle and Kobo. They can also be loaned from UK and USA libraries.